(Tampa, Fl. – St. Petersburg Times ) - Wally Heath — once a Hillsborough sheriff's deputy, once a Navy reserve sailor who hauled heavy equipment in the Middle East — now sits at home in pain. Heath is one of about 200,000 American Gulf War veterans who claim to suffer from mysterious "Gulf War syndrome." Friday, the Veterans Affairs Department vowed to review what could be thousands of those disability claims, opening the door for compensation that many say is two decades late. The VA will review regulations to ensure veterans get what they were owed under the law. Rejected veterans could then be considered again. Out of 700,000 men and women who served in the war, 300,000 have submitted claims, according to the VA. He and others testified about their illnesses before the Presidential Advisory Committee in 1996. With questions lingering, VA Secretary Eric Shinseki appointed a task force. Last week, Shinseki and Sen. Jay Rockefeller, D-W.Va. met with several veterans. After the meeting, Rockefeller said a reluctant military or poor record keeping made it hard for veterans to prove they needed help. Glenn Hertel of Hudson is sure something from the Gulf War caused his bipolar disorder, memory loss and pain. He was a truck driver for the 546th Transport Company and spent a year in Saudi Arabia and Iraq. He took the pills and slept near Iraqi ammunition dumps. "Every so often they say ,'We're going to look into this, look into that. We'll do a study,'" said Heath, who lives in Tampa. "I don't put much hope in my government." His condition forced an end to his job as a detention deputy in 1994. He got by on $1,000 a month non-service-related disability, church, and help from family. In 2007, he said, the VA granted him full coverage for some of his ailments. Information from the Associated Press was used in this report. Stephanie Hayes can be reached at shayes@sptimes.com or (727) 893-8857. John Barry can be reached at jbarry@sptimes.com or (727) 892-2258. 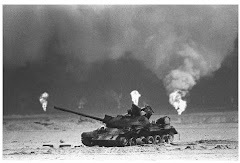 Gulf War Syndrome is a collection of symptoms that generally include fatigue, joint and muscle pain, loss of balance, loss of memory, and rashes. Doctors often liken it to chronic fatigue syndrome, and many believe it is an immune disorder. About 200,000 Gulf War veterans complain of different combinations of the symptoms. One study found that soldiers with the syndrome are more likely to have children with birth defects. 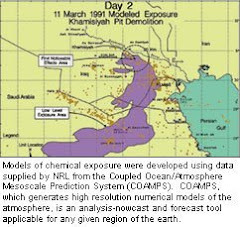 It has many suspected causes, including toxic fumes from detonated weapons depots, pyridostigmine bromide pills, which soldiers took to protect them from nerve gases, pesticides, and exposure to depleted uranium munitions. There's no single treatment.